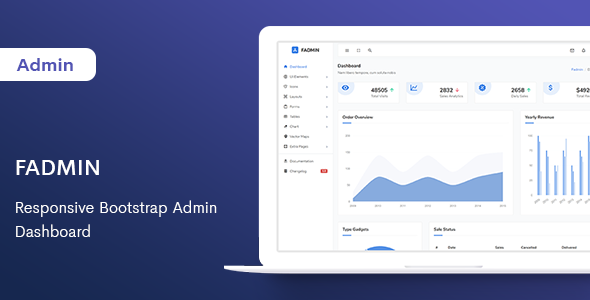 Fadmin is a fully featured premium admin template built on top of awesome Bootstrap , modern web technologies HTML5, CSS3 and jQuery. The theme includes beautiful dashboards including many ready to use hand crafted components. The components can be used very easy on any page. The theme is fully responsive and customizable.